Glamour mask is hand glittered and has faux diamonds around the eyes. 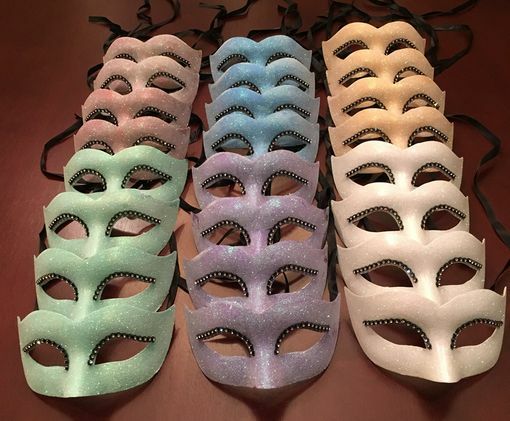 Mask party pack comes with 24 six assorted colored masks. Masks are made of a durable none bendable PVC. Comes with black ribbon ties.